Our Rental Program may be the right fit for you. Your partner when you need aeration and mixing. 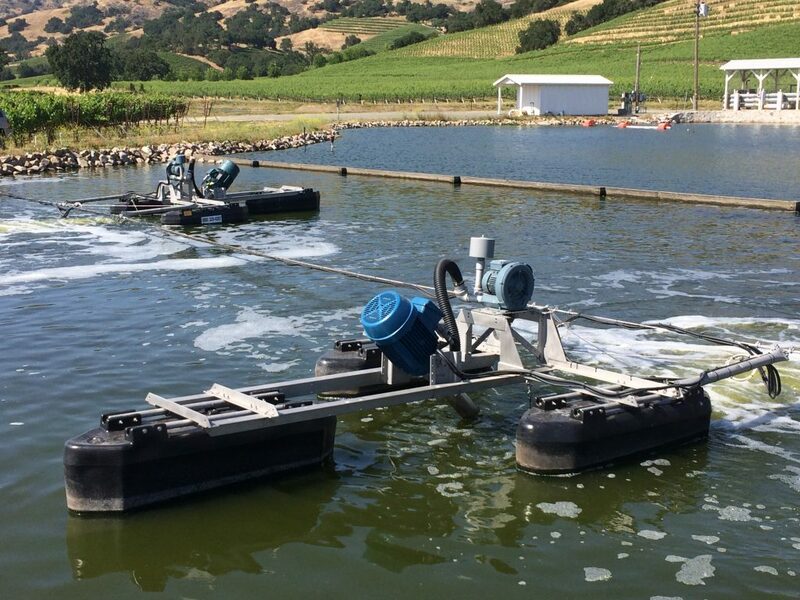 The Aire-O2 Triton® Process Aerator/Mixer can be shipped anywhere in the continental US in as little as 24 hours! Slip it in, turn it on, and your problem is solved; often in less time than repairing your old system and at a fraction of the cost for replacement. Our wastewater aeration system rental equipment is simple to install and maintain, without draining your basin. 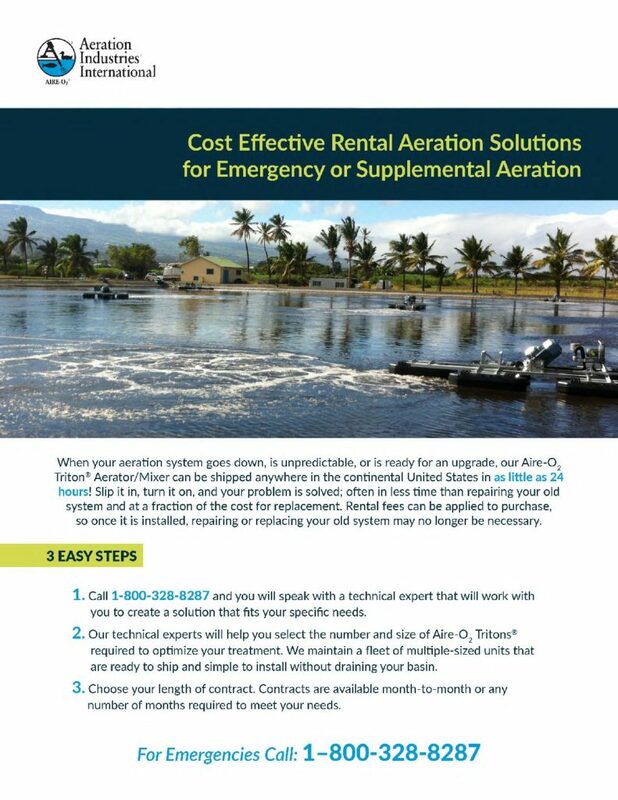 Aerator rental fees can be applied to purchase, so once it is installed, repairing or replacing your old system may no longer be necessary. Proven technology with few moving parts= less maintenance. Read more about the Aire-O2 Triton with Floats. On a Tight Budget? Flexible Financing Available! We offer flexible financing so you can get the system you need to meet permit requirements and improve treatment efficiency. We will work with you to create a custom solution for your plant… and your budget. Call 1-800-328-8287 for details. Please complete the form below about your rental requirements. An Aeration Industries Representative will contact you shortly to discuss your needs. If this is an urgent need, please call (800) 328-8287.